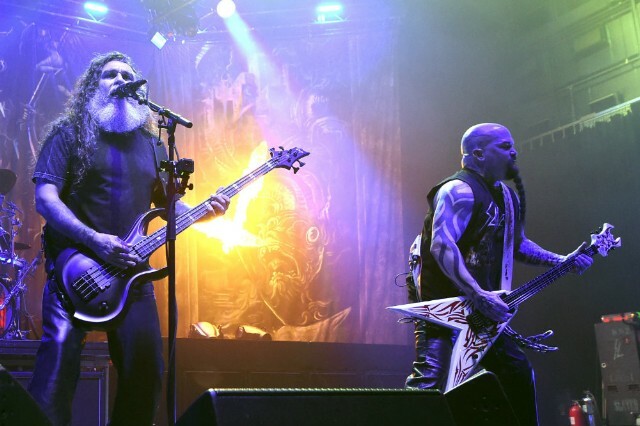 Slayer’s long goodbye is extending into 2019 thanks to a newly announced North American leg of what is ostensibly the metal gods’ worldwide farewell tour. The band’s swan song tour was announced in January 2018, but due to overwhelming demand, it will forge ahead into 2019. Cannibal Corpse, Lamb of God, and Amon Amarth will open. According to Consequence of Sound, the new dates mark the band’s third North American leg and the fifth leg overall since Slayer announced that they’re calling it quits. There is also a sixth leg in the works that will kick off in Europe. In addition to traveling long distances, one drunk but dedicated metalhead swam through part of Lake Ontario to sneak back into a show from which he was ejected. Don’t sleep on getting tickets as these are likely Slayer’s final jaunt through North America, unless they announce yet another leg.